The debate resurfaces nearly every two years, after low turnout in the biennial local elections: Does the City of Sarasota need to change the time of year when its residents vote on local issues and City Commission candidates. On Tuesday evening, Jan. 19, in a 3-2 vote, the City Commission moved ahead with plans that would let voters decide the answer. 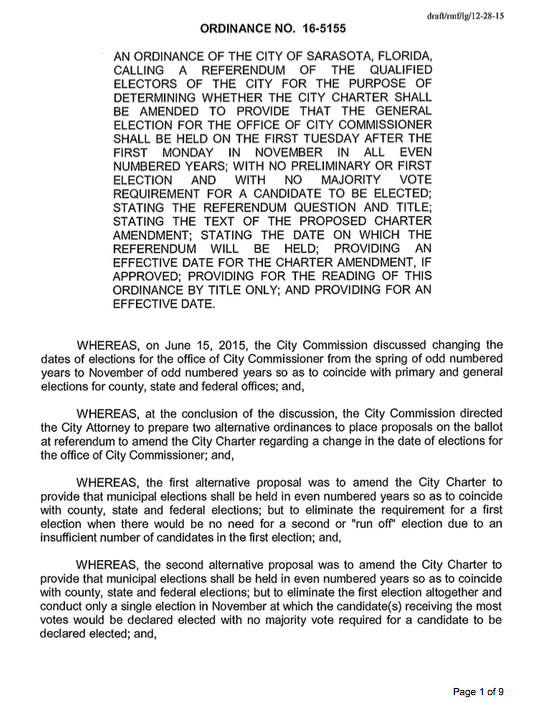 The commission approved, on first reading, the plan to hold a public referendum to allow registered city voters to cast ballots on changing the city election dates from March and May of odd-numbered years to November of even-numbered years. If the board approves the referendum on a second reading later this year, voters could decide the issue during the Presidential Election this November. The City Commission was divided on the issue. The change would mean voters making their choices as part of a general election, a move that Vice Mayor Suzanne Atwell said is necessary to address “abysmal” voter turnout. “I am supportive of anything that allows for the possibility of increasing turnout,” added Commissioner Shelli Freeland Eddie. Eddie told her colleagues she has been discouraged by low participation levels, especially among younger residents. 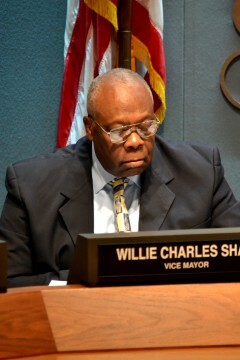 Yet, Mayor Willie Shaw and Commissioner Susan Chapman, who cast the dissenting votes, voiced concerns that the change would bury city elections under many other ballot choices and drive up candidates’ costs as they try to run effective local campaigns amid the frenzy of national and state elections. Shaw pointed out that city candidates would have to raise more money, and they ultimately would have to rely on partisan support in what are supposed to be non-partisan races. The commissioners’ second required public hearing on Ordinance No. 16-5155 likely will not take place until April. 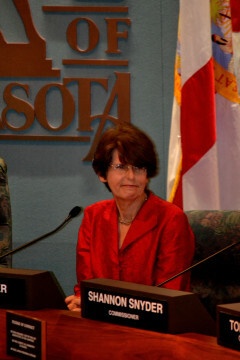 That is because City Attorney Bob Fournier advised them to wait until after the state legislative session ends in March, in case legislators render the issue moot: At least one draft bill was recently introduced in the Legislature to require all municipal elections to coincide with general November elections. The commissioners also must decide on the ballot language. One option is to add 18 months to commissioners’ existing terms; another is to add 18 months to the terms of the next group of elected commissioners. A third option calls for the board to reduce the terms of the next elected commissioners to 18 months as part of the transition. Before voting on Jan. 19, the commissioners heard from seven speakers. Serrie pointed out that even some big cities — Los Angeles, Chicago and San Antonio among them — hold local elections separate from their general November elections. When it comes to which Tuesday on which to hold local elections, the city commissioners have made it clear that they have split into two groups. 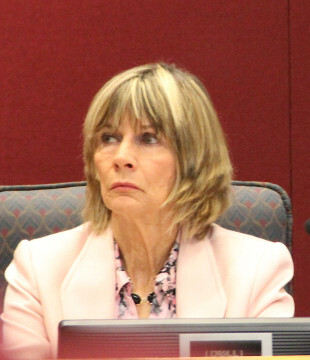 In July, Atwell, a vocal proponent of the change, raised the possibility of moving the election date from the spring to November, when more people head to the polls, as indicated by Sarasota County Supervisor of Elections office records. The vice mayor points to turnout that is often less than 19 percent during city elections. This is the first page of the proposed ordinance. It may be found in its entirety on the city website. Chapman acknowledged that the voter turnout figures are “depressing,” but she believes putting the city election on the November ballot would result in city issues falling under the shadow cast by national and state races. City candidates would likely be the last to speak during forums, for example, and it would be more difficult to recruit campaign volunteers for local races, Chapman noted. In such an environment, City Commission candidates also would have to raise more and more money, she added. For Shaw, the change would essentially preclude grassroots candidates who run on smaller budgets — such as Shaw did during his first City Commission campaign, when he had only $5,000 to spend. Chapman also mentioned the potential difficulty of campaigning in hurricane season, which does not end until Nov. 30 each year. Commissioner Liz Alpert, who voted for the referendum, said she was in favor of putting the question to the electorate. But she had reservations about it, she pointed out, and she sympathized with some of the arguments in opposition to the change. Alpert said she, too, is concerned that candidates will have to raise more money if the change is approved. Atwell countered that the change would offer the community the best scenario for voting on local officials and issues.